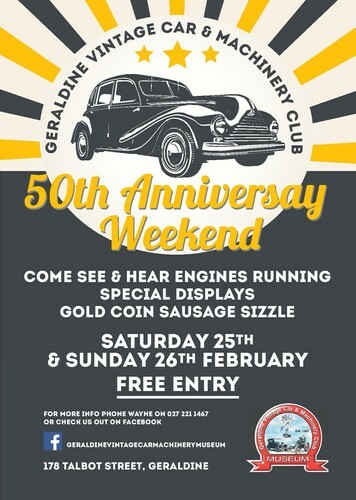 The Geraldine Vintage Car and Machinery Museum is offering free entry all weekend to the public as part of their 50th Anniversary celebrations. See rare exhibits, experience running machinery from yesteryear, enjoy a going coin sausage sizzle plus much more. This is a real chance to get up close and person with some amazing pieces of our mechanical past!